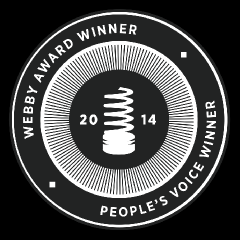 The winners of the 18th Annual Webby Awards were recently announced, and the Academy of Electronic Music was selected as the winner of the People’s Voice Award in the category of Arts & Culture. The Academy of Electronic Music is a collaboration between Amsterdam-based record label Armada Music, Point Blank Music School, Google+, and media partner DJ Mag UK. The goal of the academy is to create a fully social music school to help develop the next generation of superstar DJs and producers, by giving them an online platform and launchpad to bring their music to the world.